After writing about Europe’s largest spider living on the Desertas of Madeira Archipelago, we wanted to write about the largest bird found on the island. We are pleased to introduce the Madeira Buzzard to you. The Madeira Buzzard, scientifically known as Buteo Buteo Harterti, is the endemic buzzard of Madeira Archipelago. The Portuguese call this bird of prey: Manta. With an impressive wingspan of 115 to 135cm from one wingtip to the other. Its length from head to tail lays between 51 and 57 cm for an adult Madeira Buzzard. They can weight from 550gr to 1kg200gr. Their feathers are brownish with white. Their legs are featherless and yellow. They glide effortlessly on warm air currents. Hence they are mostly seen circling in wide circles while looking down for preys. They are found on Madeira all year around as the islands are their breeding ground – except on the Desertas islands where it disappeared. Madeira Buzzards, like most buzzards, hunt any type of small animal available to them: small rodents such as mice and rats, small mammals such as rabbits as well as smaller birds and reptiles. Madeira Buzzards build their own nest mostly in trees or on Madeira also in rocky escarpments. Their nests have a wide base (up to 1.5 meters in diameter and 60cm high) to render access more difficult from underneath. Madeira Buzzards generally from a stable couple. The female lays between 2 and four eggs which she incubates. Her partner mostly goes after food. These eggs hatch one after the other over a period of 2 to 4 days after a little less than 2 months of incubation. Madeira Buzzards have a very respectable lifespan of up to 25 years. 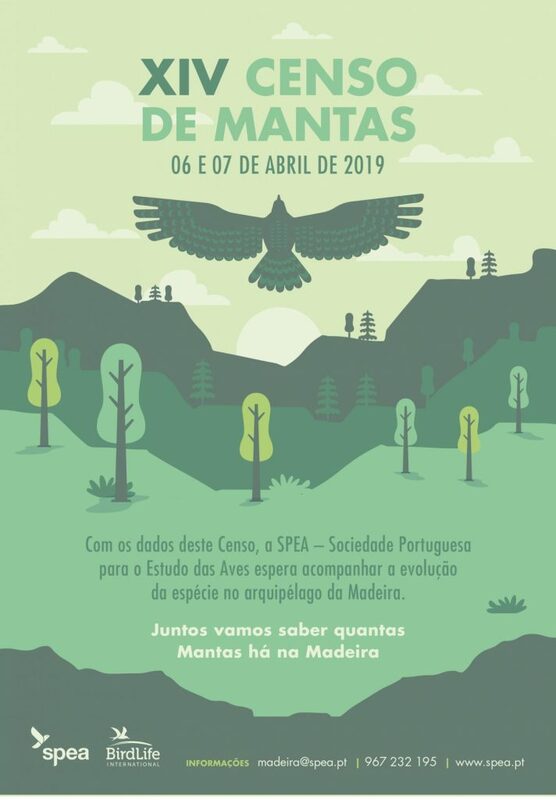 Every year, the SPEA – Portuguese Society for the Study of Birds – is carrying out a census / count of Madeira Buzzards. Every one is welcome to participate. You only need to register via their website, right here. 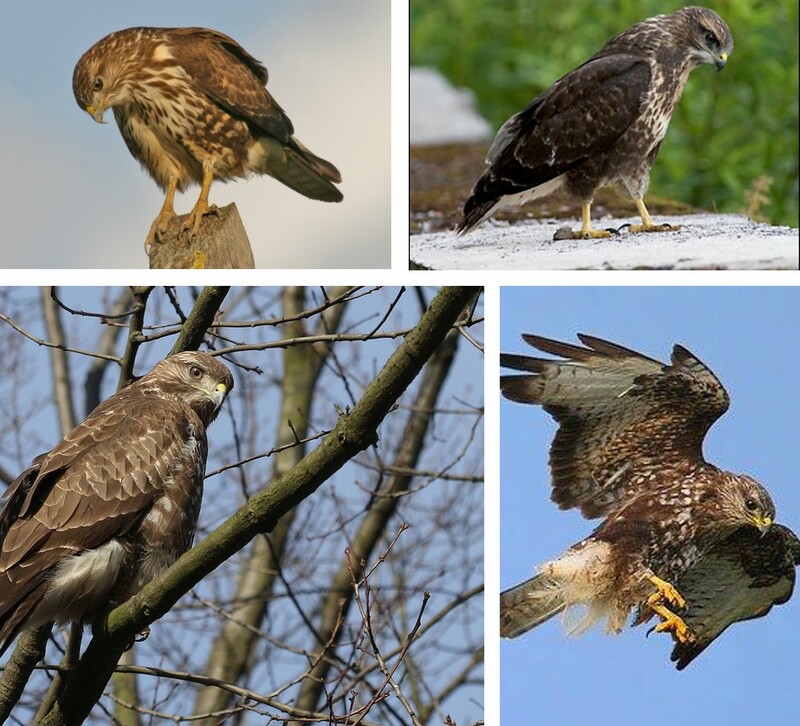 You can also find fascinating statistics and information about Madeira Buzzard on that page. The SPEA carries out this census for on Madeira and the Azores. Interestingly, Buzzards or Mantas on Madeira have a different name on the Azores, namely Milhafres. 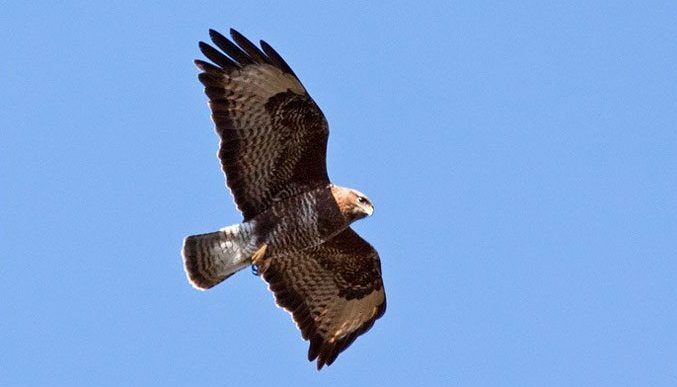 They also belong to different buteo buteo subspecies, namely the buteo buteo harterti on Madeira and the buteo buteo rothschildi on the Azores. 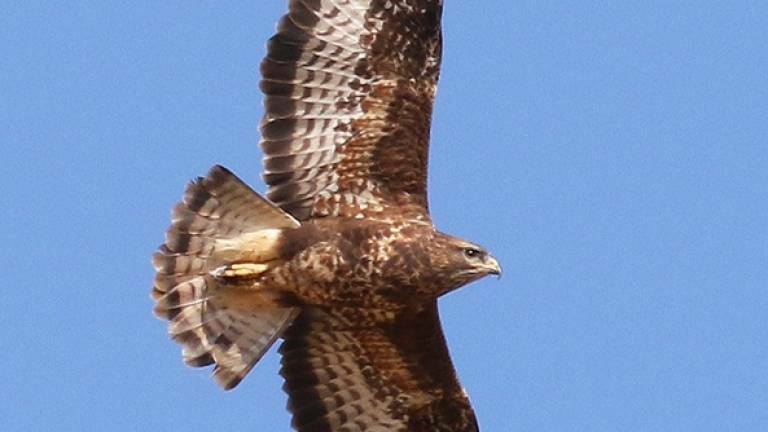 Their presence on Madeira Buzzards is important for a healthy ecosystem. The law forbids to kill Mantas or Madeira Buzzards.